The Government of Sierra Leone's Ministry of Social Welfare, Gender & Children's Affairs and its partners plan to celebrate International Women's Day (IWD) in the Western Area Rural District for the first time. "The choice of a rural setting this year was directed by President Koroma," read a statement from the national IWD Committee. "Sierra Leone has 60 percent of its women living in rural areas. This year's celebrations are for all rural women to be reminded that they are very special," the press release said. Western Area Rural District Local Government Chairman Alhassan Cole and other rural residents are reportedly excited as this will be the first-ever national event to be hosted in their administrative area. Popular bands have joined together with the Sierra Leone Female Musicians Association, which has the support of Dr. Sylvia Olayinka Blyden, minister of Social Welfare, Gender & Children's Affairs. Edward Blyden, who mentored his daughter Sylvia Olayinka and watched her grow into one of Sierra Leone’s most successful newspaper publishers and entrepreneurs, died Tuesday, February 14, at his home in London, England. He had been suffering from diabetes for some time. Two summers ago, Mr. Blyden, a retired pensioner, suffered a heart attack on a London bus. He was admitted at Homerton Hospital before family members were contacted leading to a nationwide search. 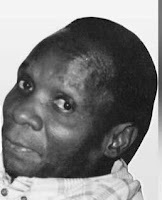 Edward Babatunde Blyden was born June 12, 1943, in Freetown, Sierra Leone. He would have turned 74 this year. Chernoh Alpha M. Bah, author of The Ebola Outbreak in West Africa, asks why Abdul Fatoma, a human rights activist with a proven record of reporting on economic and social rights and the head of a civil society organization in the U.K., was blasted by angry Members of Parliament in Freetown and locked up. For several days now, the civil society activist and human rights campaigner, Abdul M. Fatoma, has been the center of ugly news in Freetown. 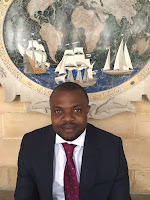 He is the recent victim of political intimidation and harassment in Sierra Leone; a practice that has increasingly become the feature of governance since Ernst Bai Koroma and his APC entered the State House in 2007.